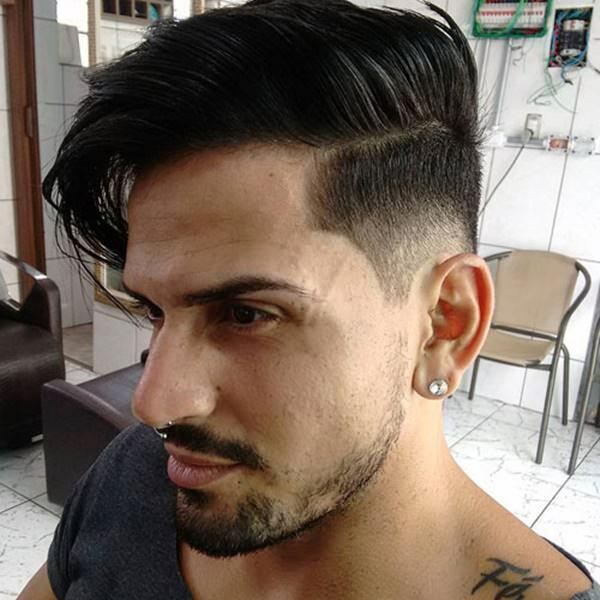 If you are looking for a cool new look this year, then you have come to the right place. 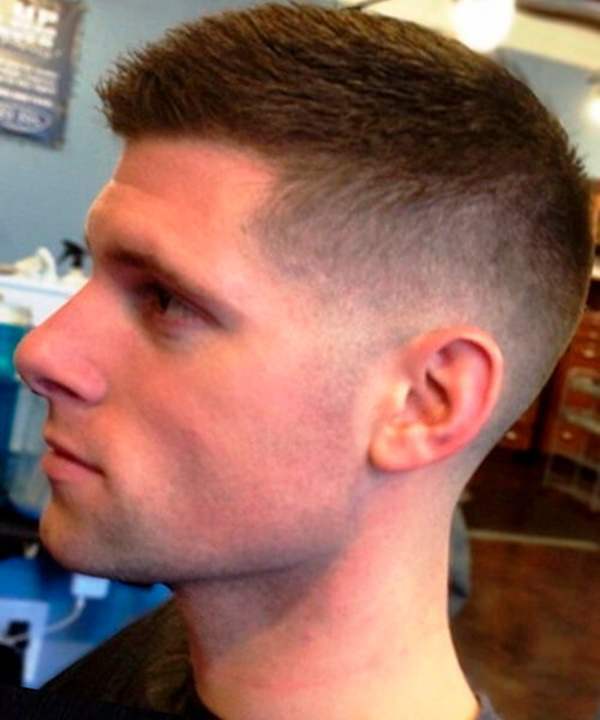 The mid fade haircut is the perfect balance between a high fade and a low one. 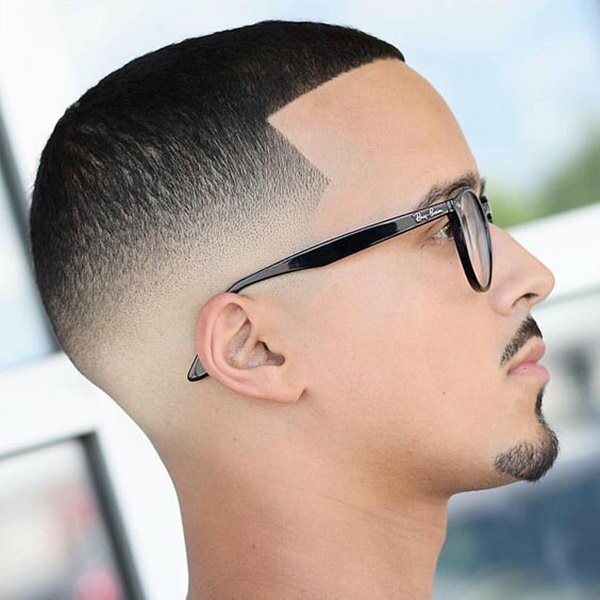 The mid fade is a taper cut that is above the ear but below the temples. 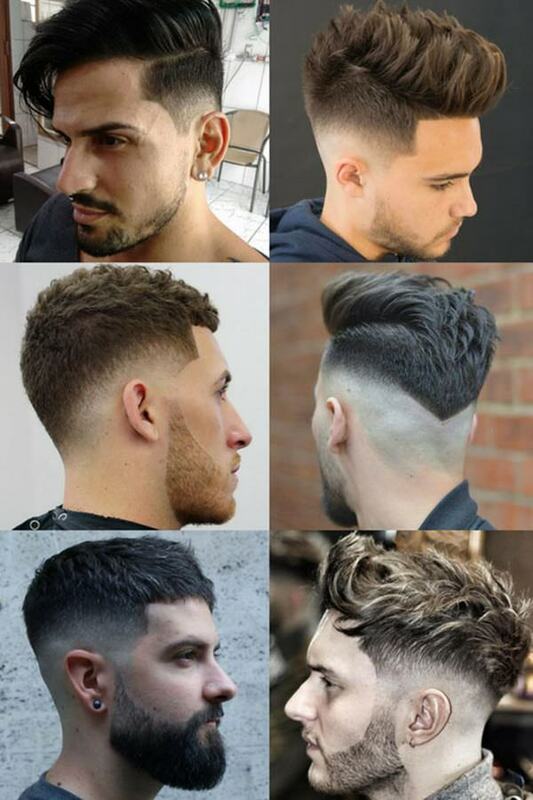 There are a variety of options to choose from for a fade. 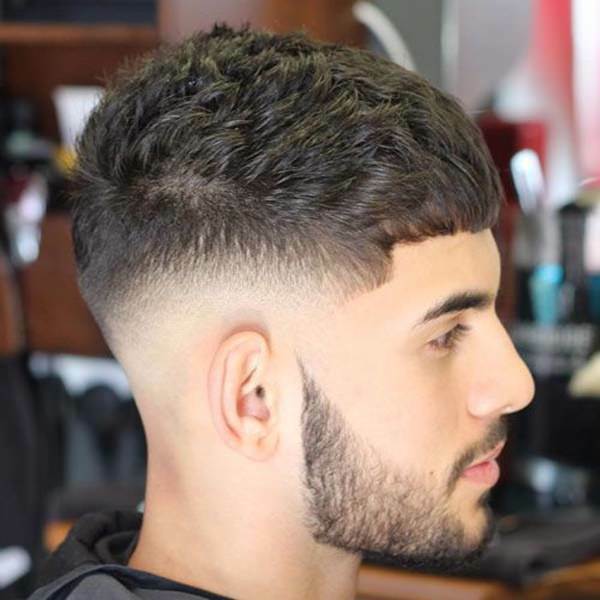 You can do it in order to have a short cut or try it as a disconnected look by using a razor fade. 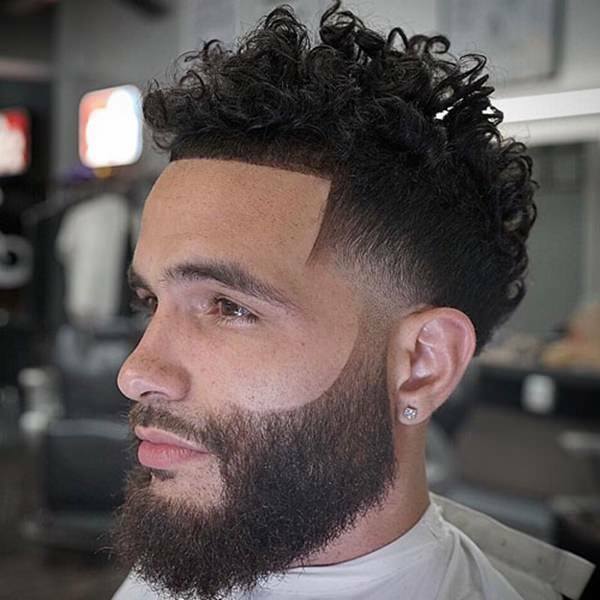 If you are someone who sports a beard, then you can even ask your barber for a bald fade so that your haircut can fade into the beard. It’s a great way to rock out the most stylish do that you can this summer. 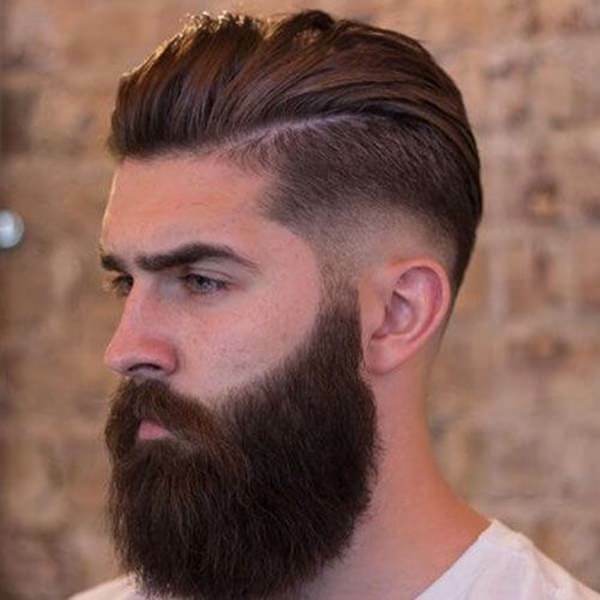 This sort of style won’t take long to put together in the morning. If you are looking for a fashionable style, then you can’t go wrong with this one. 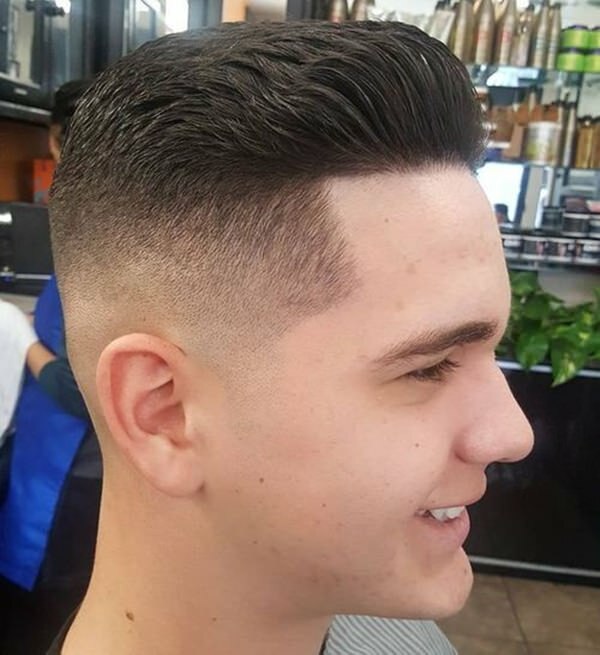 You are sure to be the cool guy in the group with a style like this one. 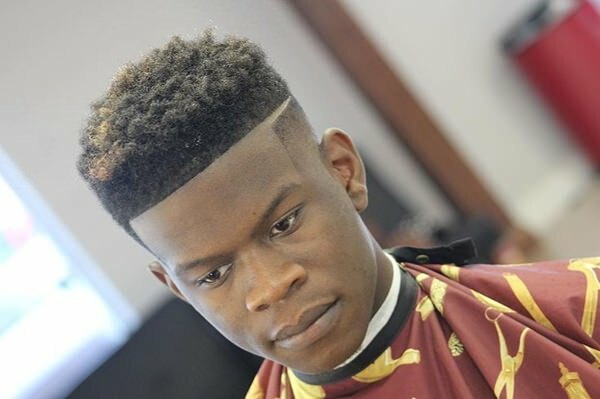 Just because you are going with a mid fade, that doesn’t mean that it can’t be long on top. 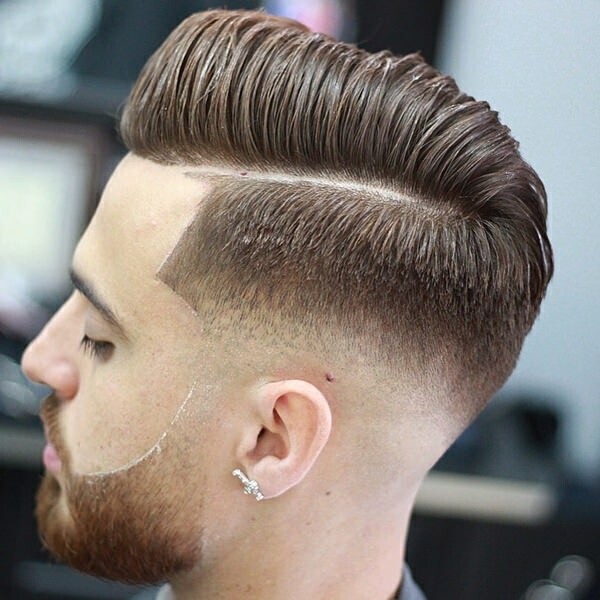 A great style like this is great if you have thick hair. 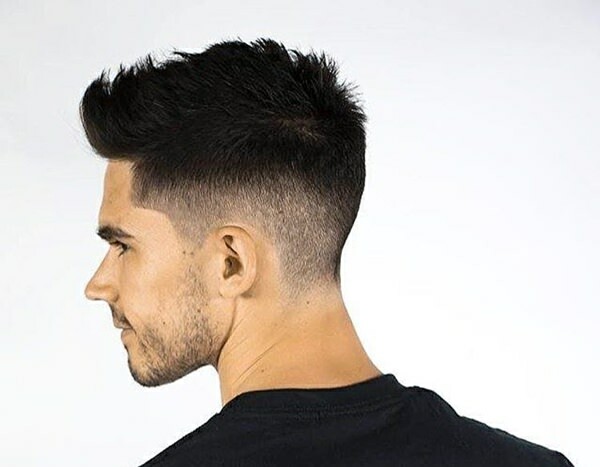 The fade is awesome and the fade is totally sleek. 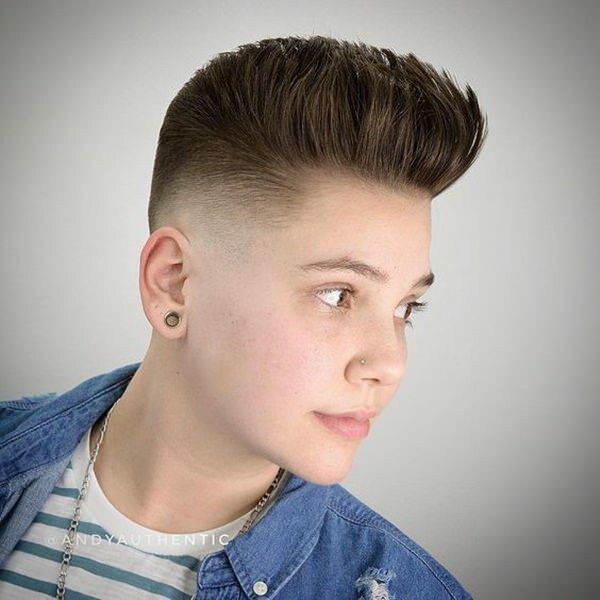 How could you not love a fade that looks this great and this fabulous? 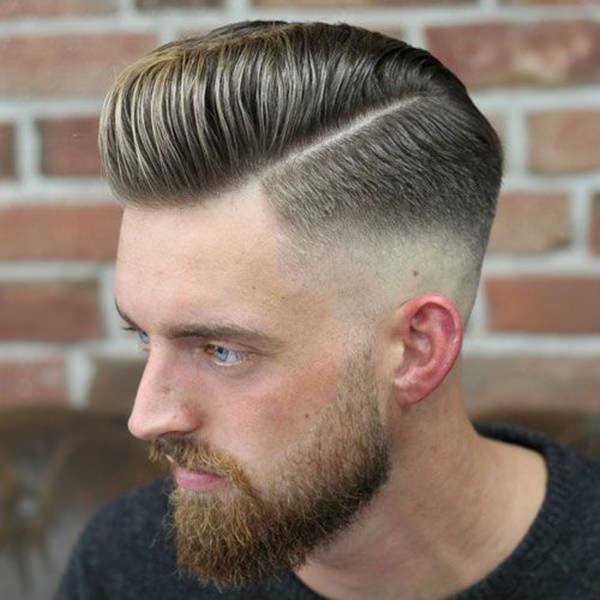 This style is sure to make you feel cool. 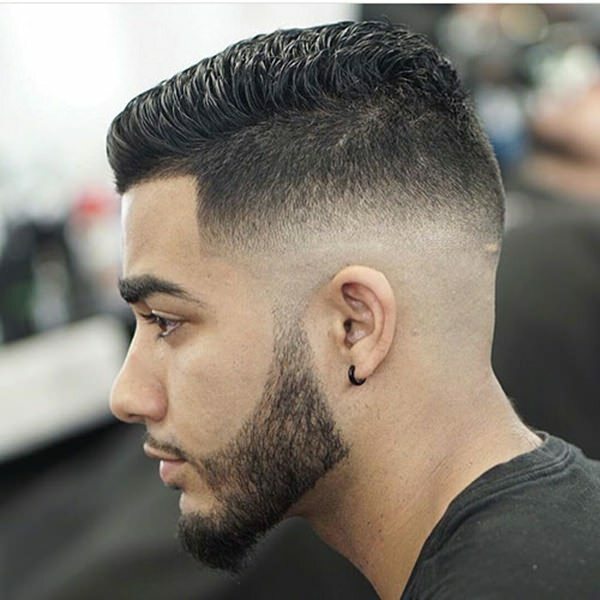 You don’t have to shave the sides to have a great fade. 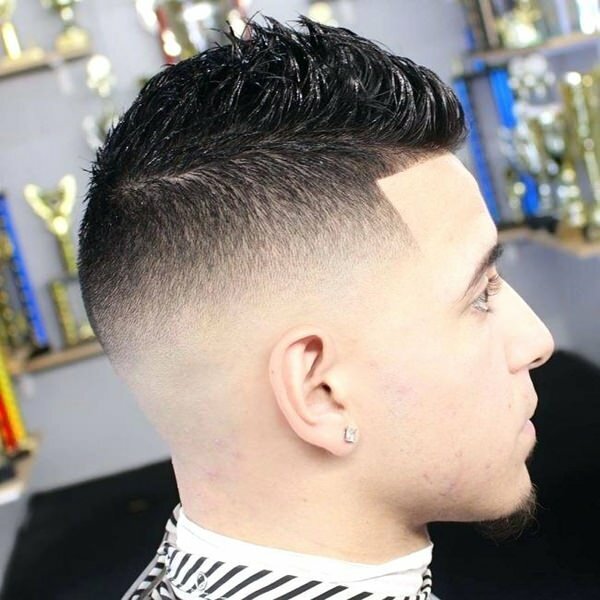 A great style like this is sure to turn heads wherever you go. Some fades stand out much better than others do. 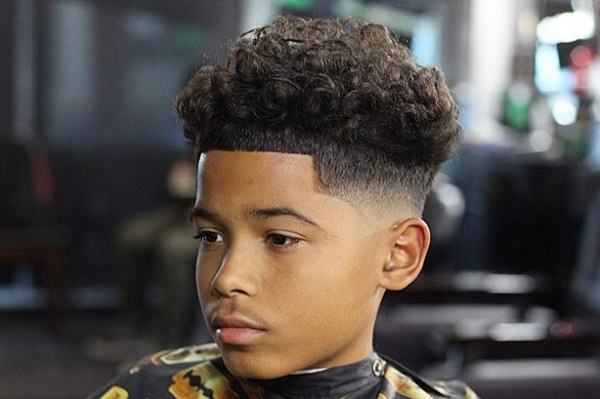 If your hair is naturally curly, then embrace them with a style like this. 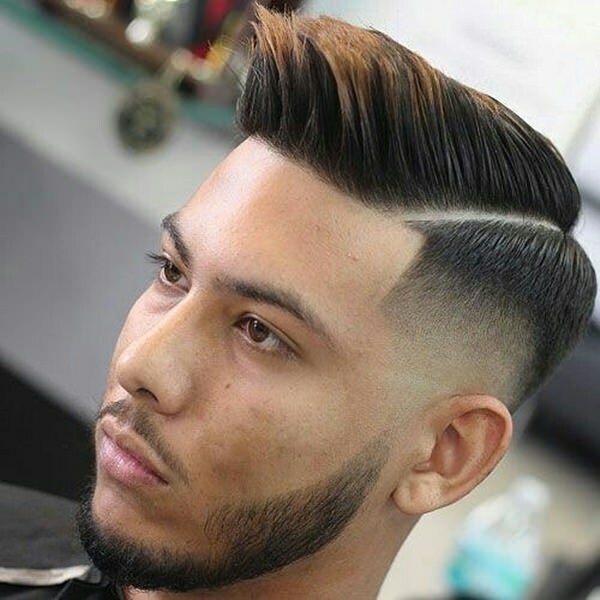 These styles are so awesome that you will want to try a new one every week. 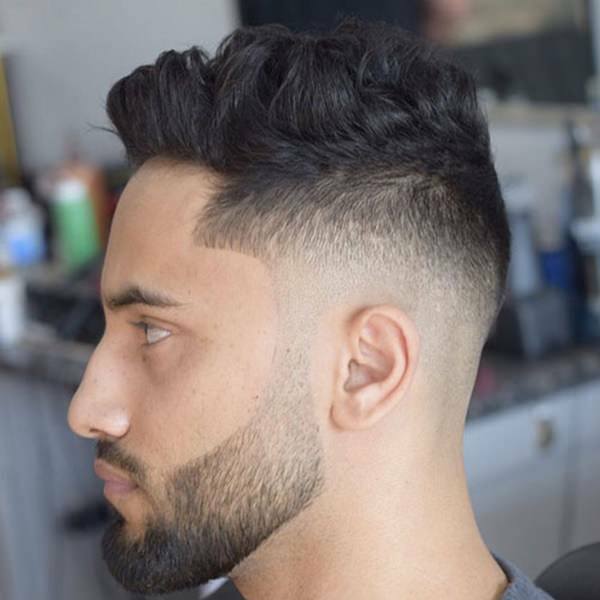 This look is styled to the side and the part is pretty crisp. If you are all about high fashion, then this chic look is one that you will want to try out. A cool style that is spiked with gel and has edgy sides. 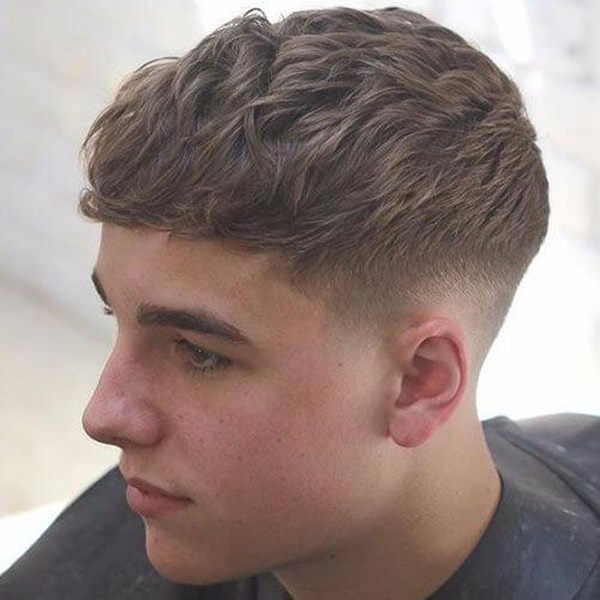 Prepare to use a lot of gel for a style like this. 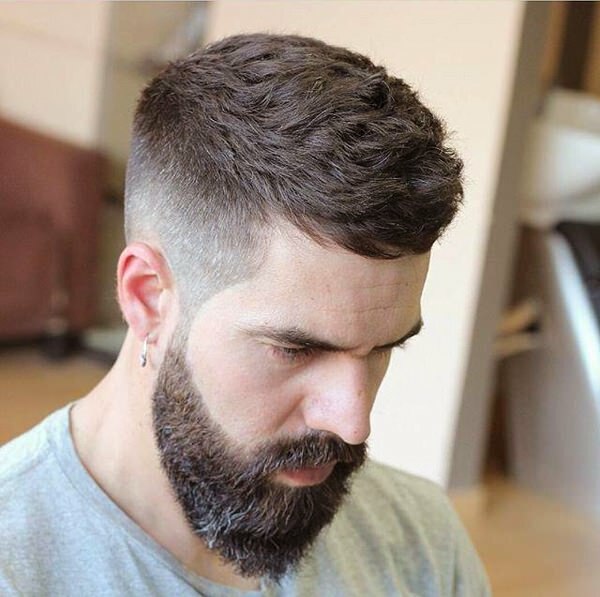 The fade goes right into the beard in a very cool way. 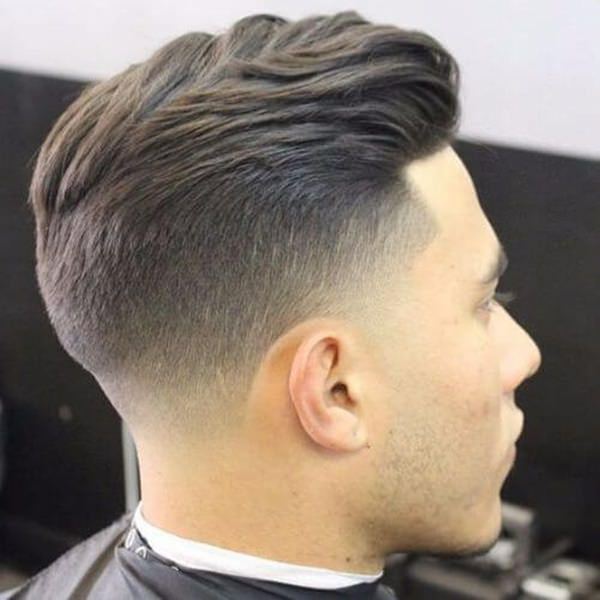 If you have thick hair, then this is what the style would look like on you. It offers a bold style and one that is truly unique. 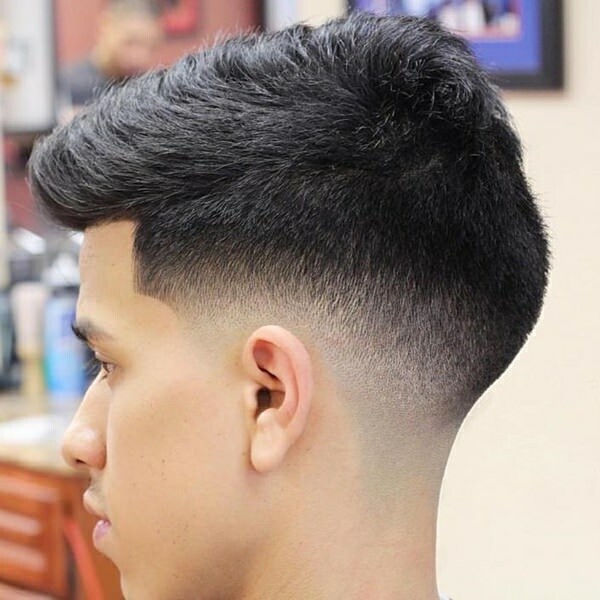 A great fade with a flip on top. If you like a look that is stylish, then this is the one for you. 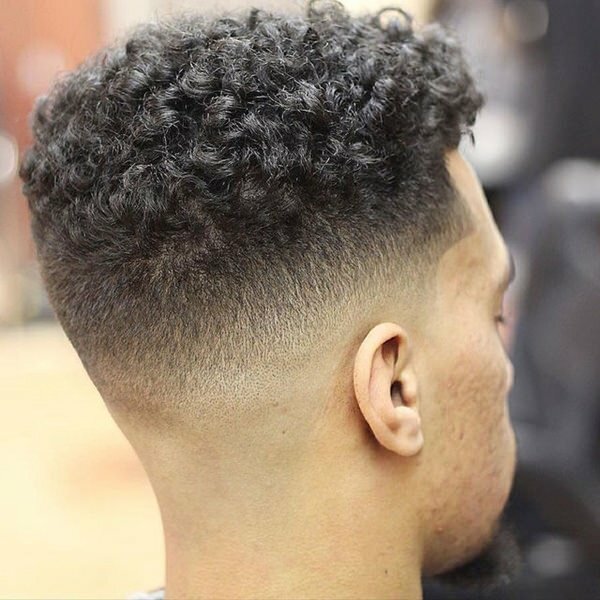 If you have curly hair, the embrace it with this style. 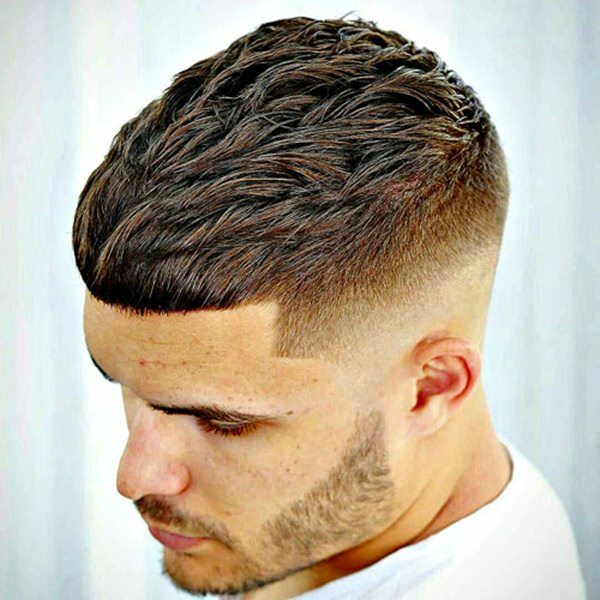 There is no need to cut off all your curls when you can have a look like this one. This style is pretty cool and it doesn’t look like it’s moving anytime soon. Gel is required for such a look and it’s truly unique. A simple style that will be easy to put together in the morning. 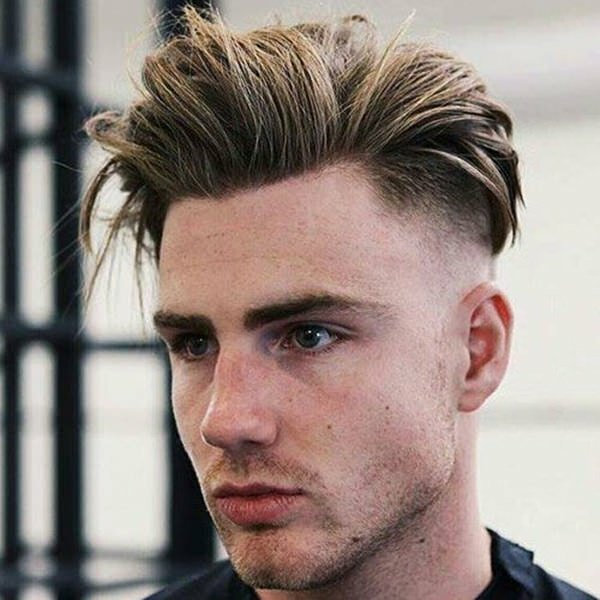 If you want a bold look, then this is a style to try out this year. A cool look that is simple and polished. 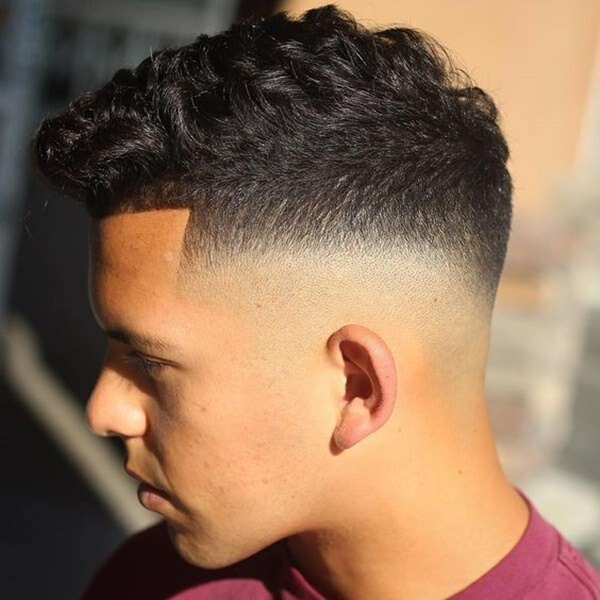 If you want something cool that will draw the eye, then try this style out. 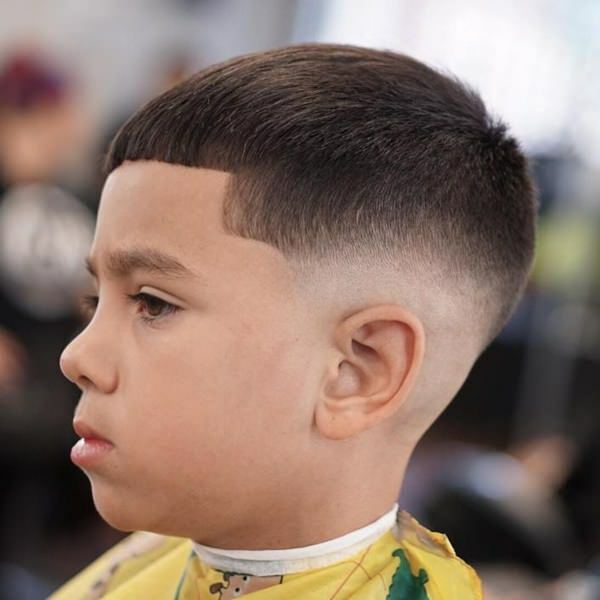 There is a lot of styles that you can create with a shaver. 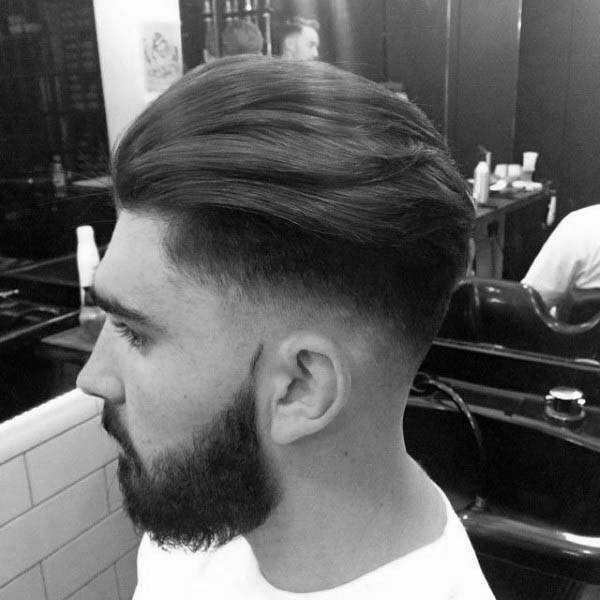 We love how long the top is and it gives you a polished look without going over the top. 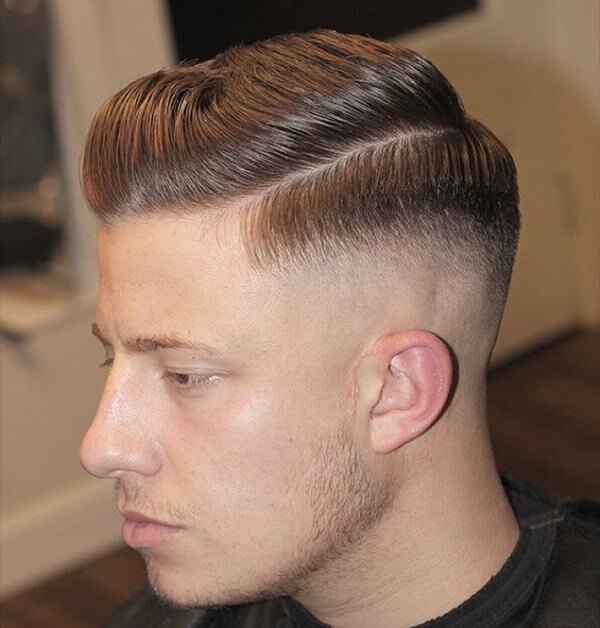 A great style that is longer on the sides than most. It’s a low-maintenance style that is easy to put together. 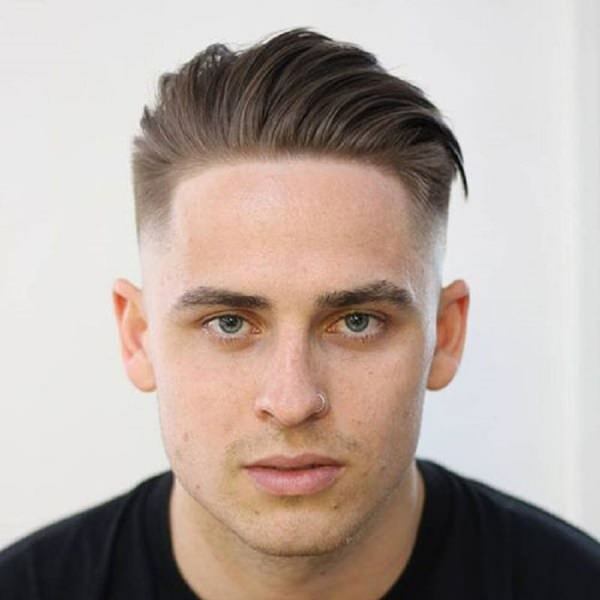 If you prefer to have your hair really short, then this is the style for you. It’s another style that would be easy to put together. 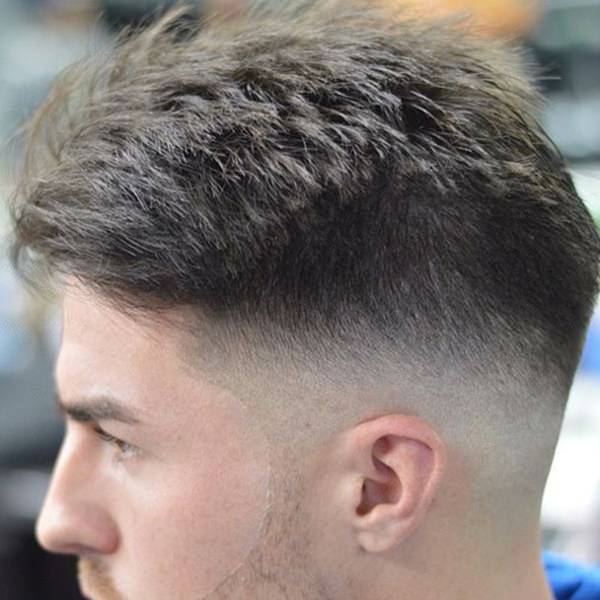 Another mid fade that has a longer top. It’s a style that is cool and put together well. 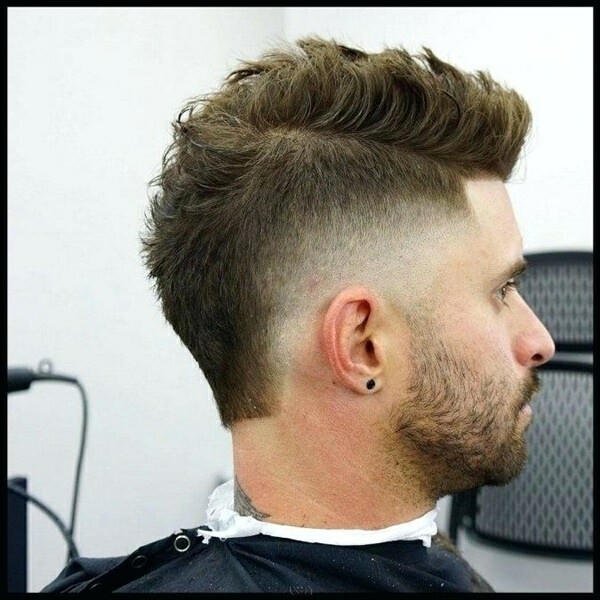 This cool mohawk style is long and fashionable. 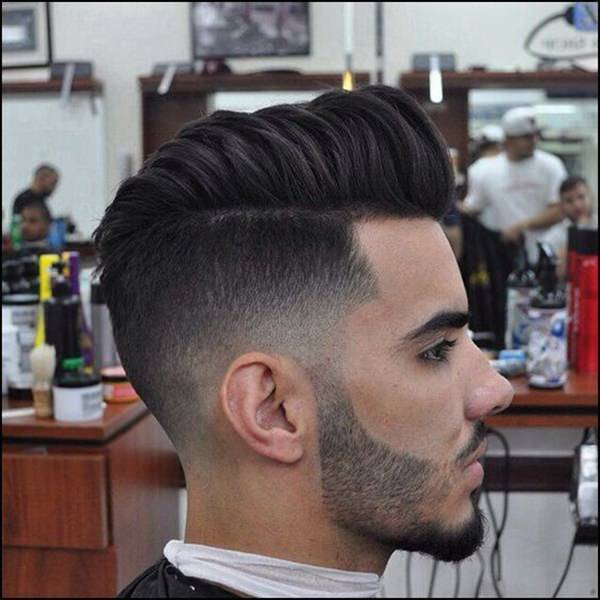 The sides have a mid fade that is perfect for the style. Why not try it out this year. 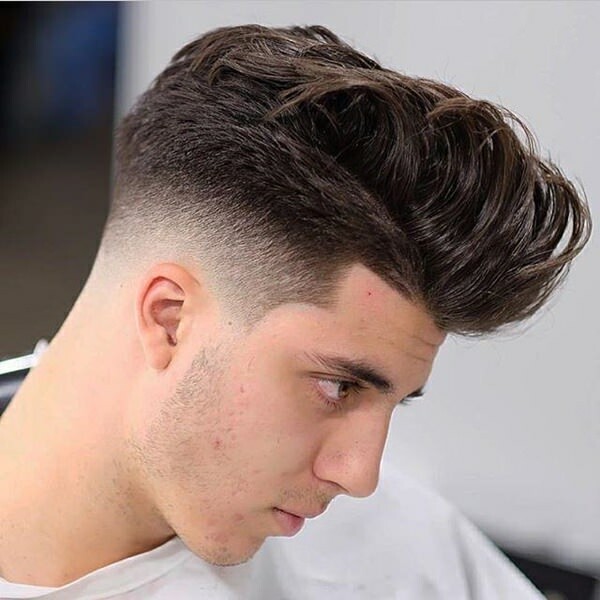 A great style that is super long on top. There are also some cool highlights that are sure to make you happy this season. 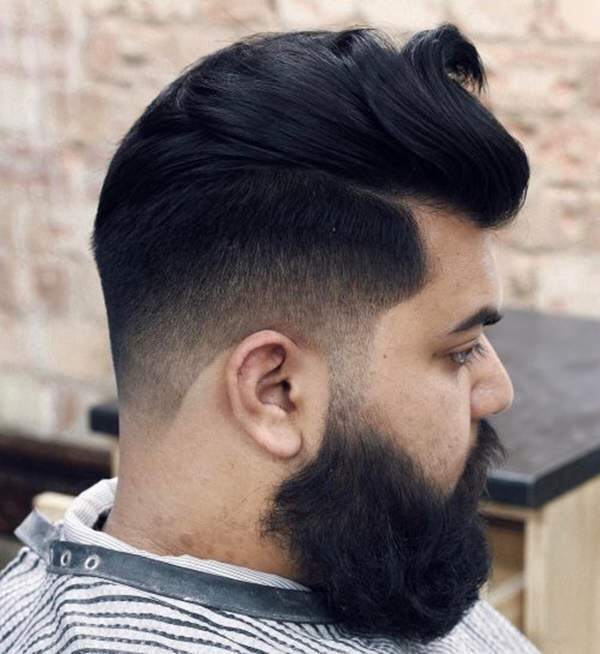 If you want to blend your beard into your hairstyle, then this is the style for you. 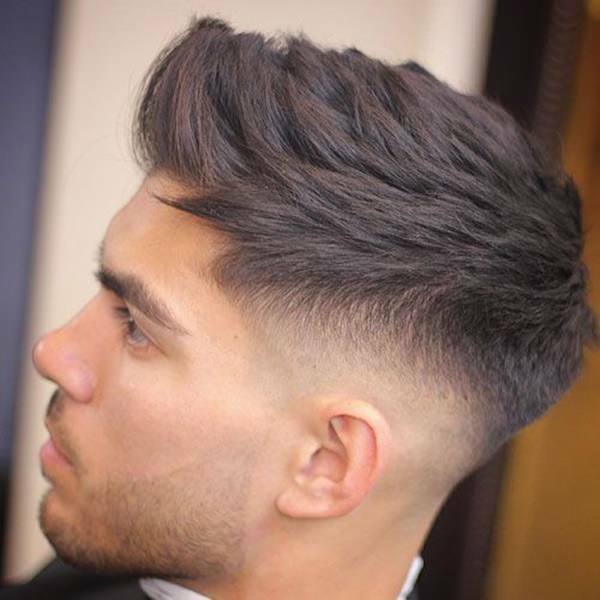 If you have thick hair, then this will be a great style for you. 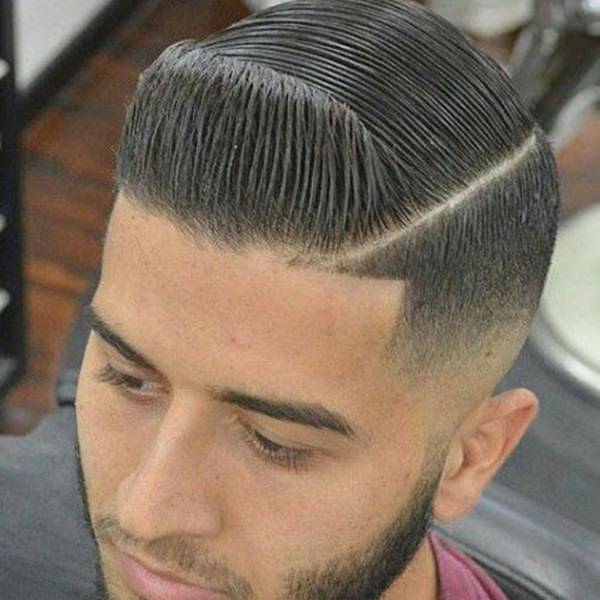 A great style like this is sure to please you no matter what. 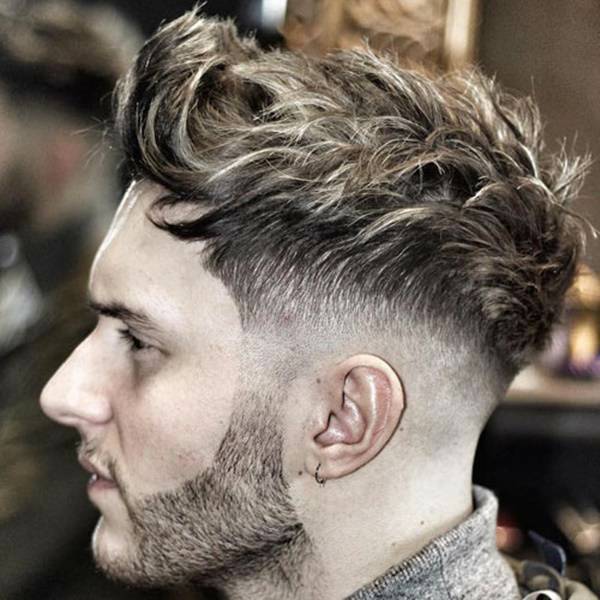 These six styles show you how you can rock out the mid fade in many different ways. 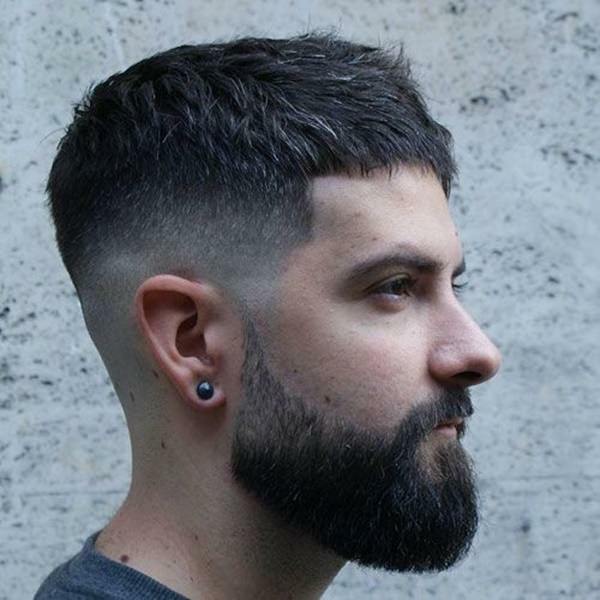 This look is shorter on top with a much shorter shave on the side. 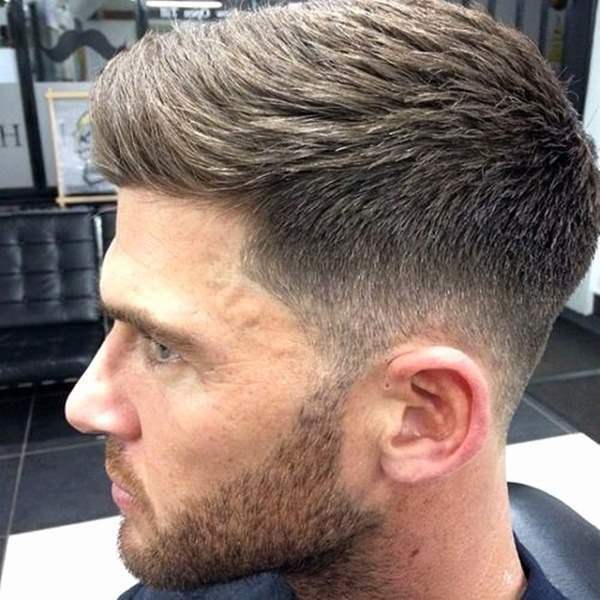 A great style like this is long on top and swept to the side. 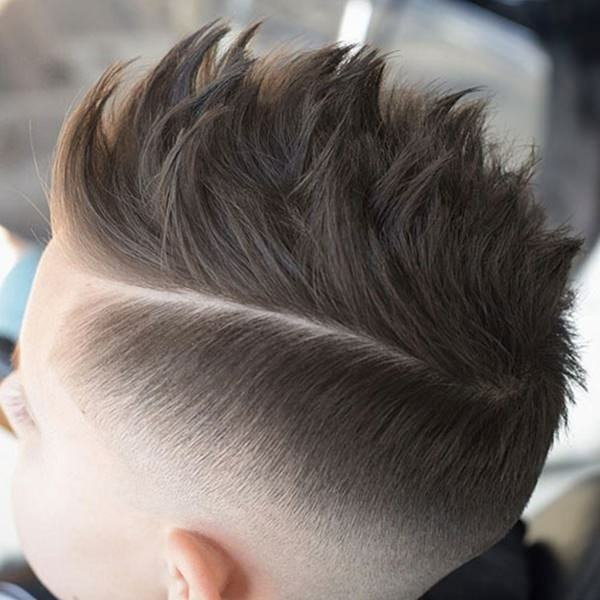 The sides also have a pretty cool fade. 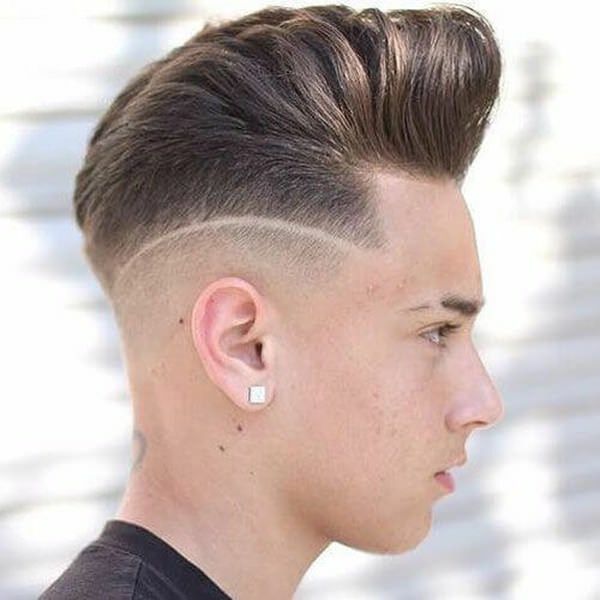 If you are looking for a very fashionable style, this hairstyle is truly unique. 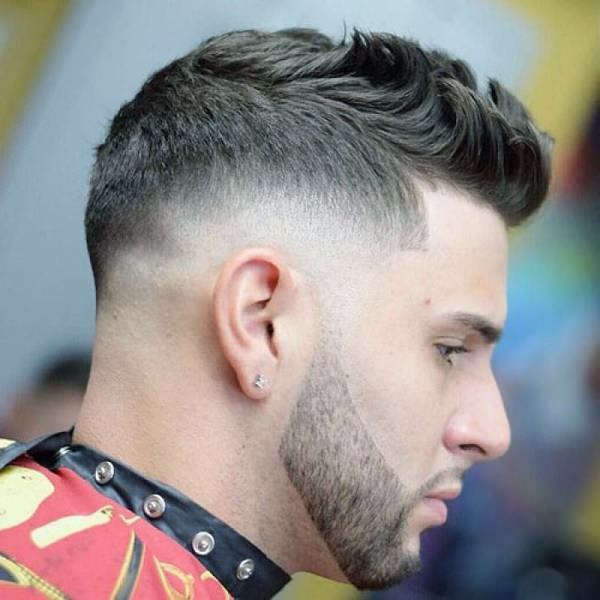 An amazing look that is shaved to perfection on the sides. 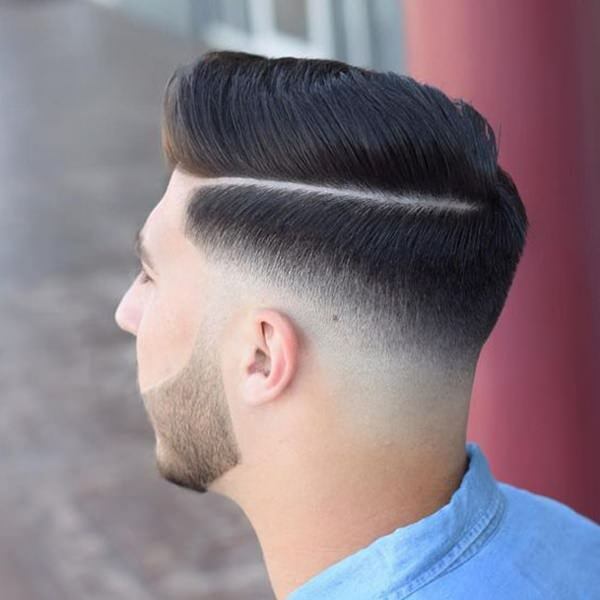 A look like this is shaved in a design around the edges while the top is left casual. 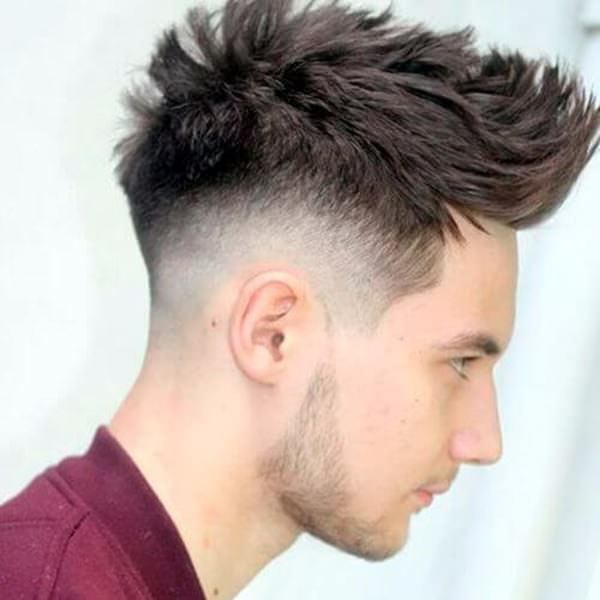 If you like the spiky styles, then you are sure to love this look. 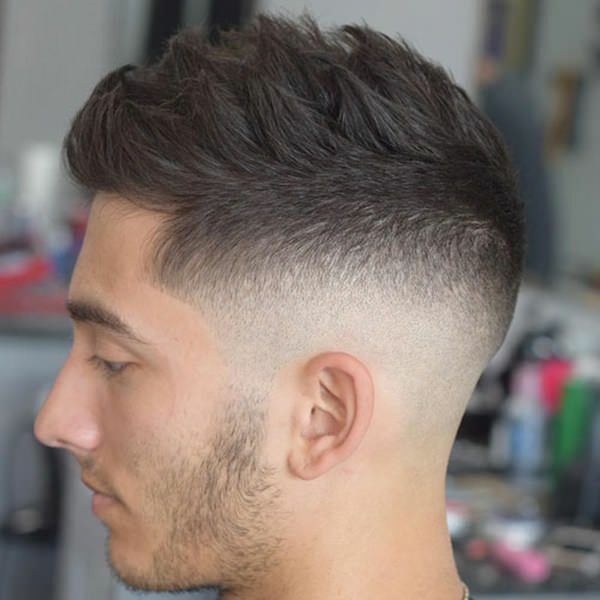 If you want a sleek look that is ultra professional, then you have to try out this style. 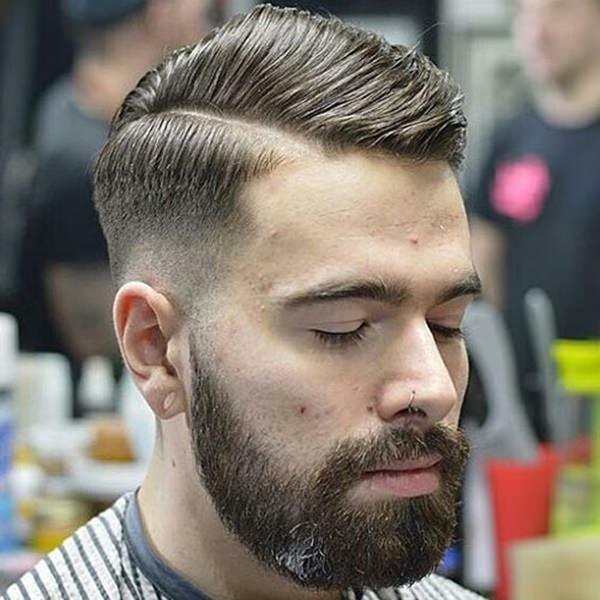 The top is long and styled backward while the sides are short. This look is very casual and won’t be hard to put together in the morning. 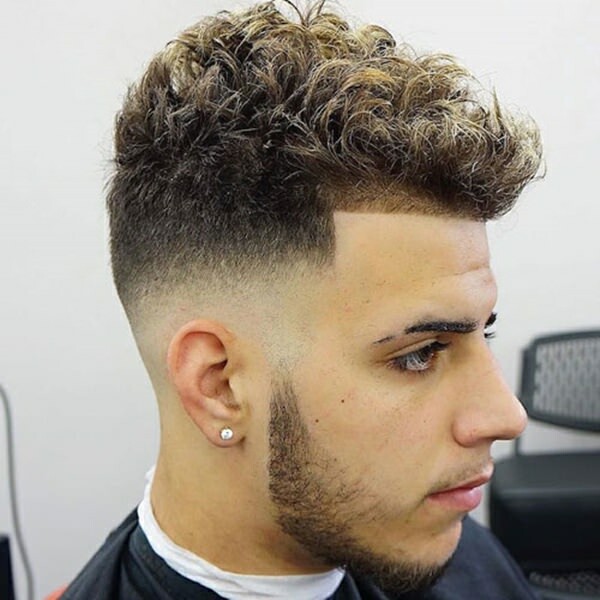 If you have curls on the top of your head, then you can’t go wrong with this look. 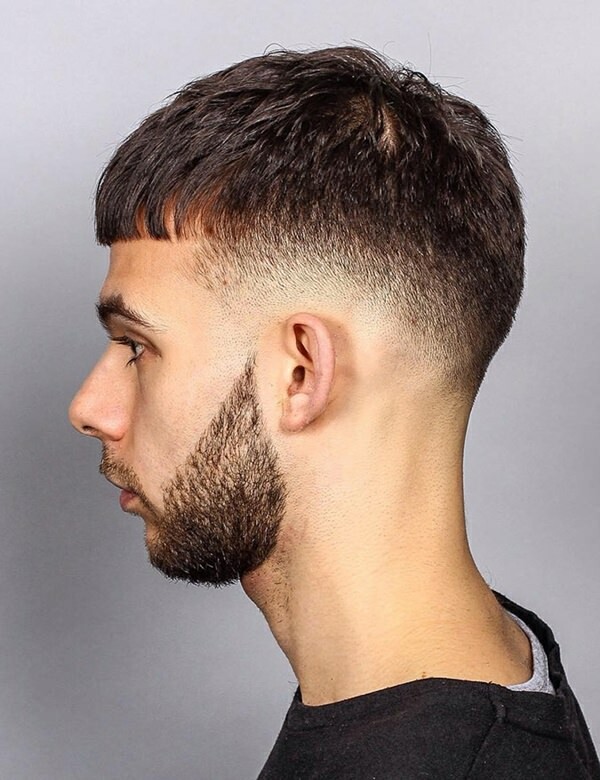 The style is very short except for right in the front where it looks like he has bangs. 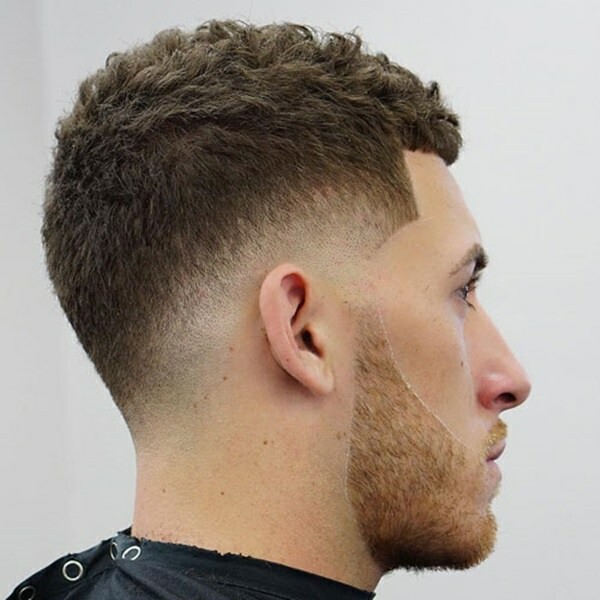 The shave here had square lines around the forehead and the rest is kept long and curly. 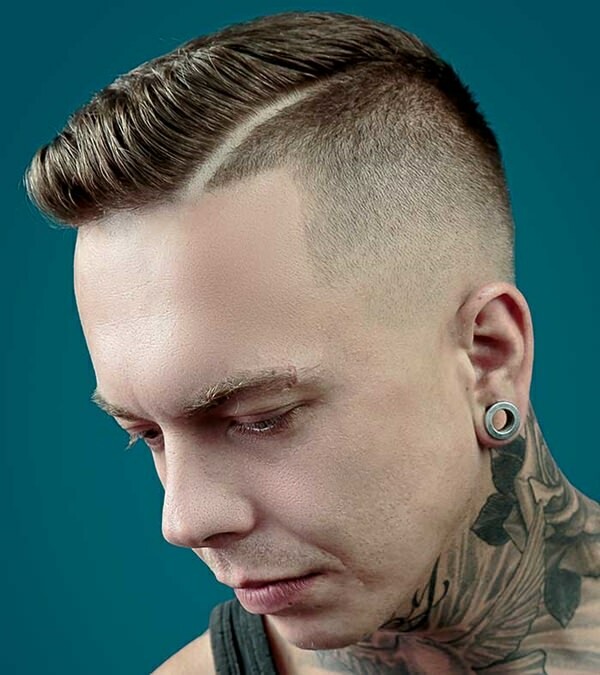 A few edgy shaves in the side of the head will make you feel extra cool this summer. 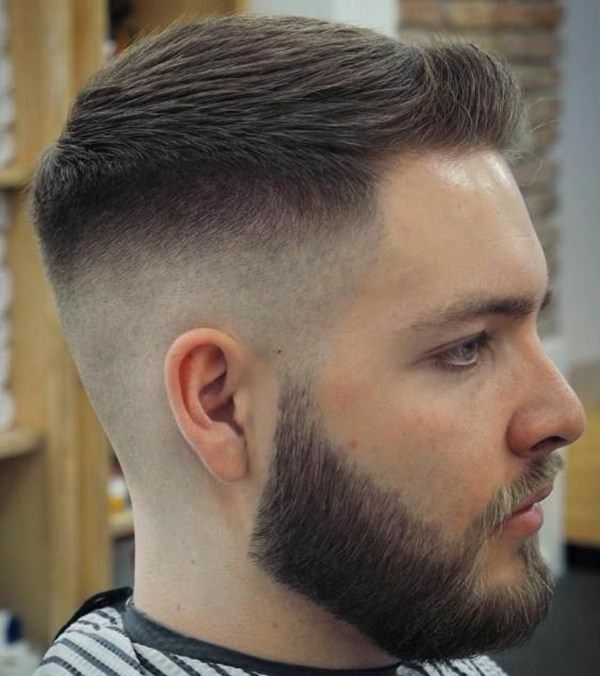 A style like this is truly unique because the fade goes right into the beard. 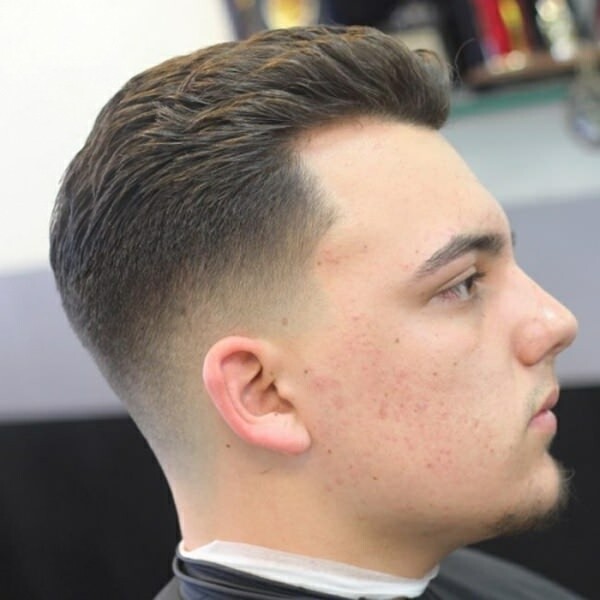 A short style that is sure to impress anyone. A cool and edgy style that you are sure to love this year. 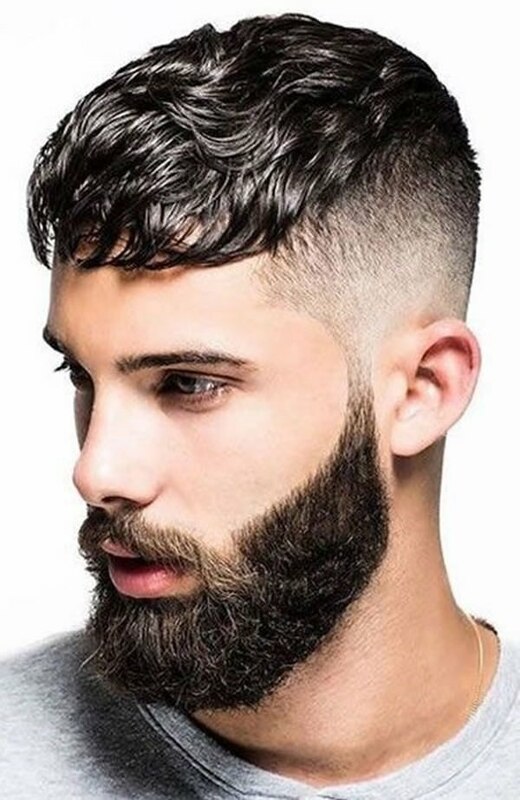 The shave here is right to the skin which gives you a very different look. 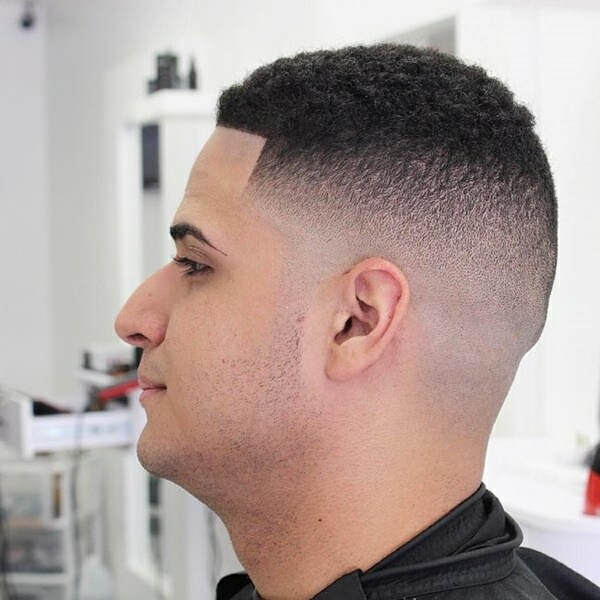 A great style that is clean-cut and professional for work. A high top style that is sure to impress you wherever you go. 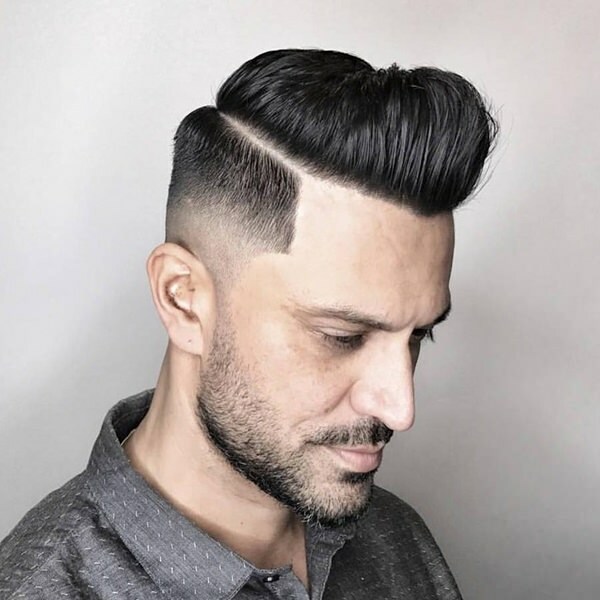 The hair on top looks like it’s a flowing wave. How could you not love this fashionable style? 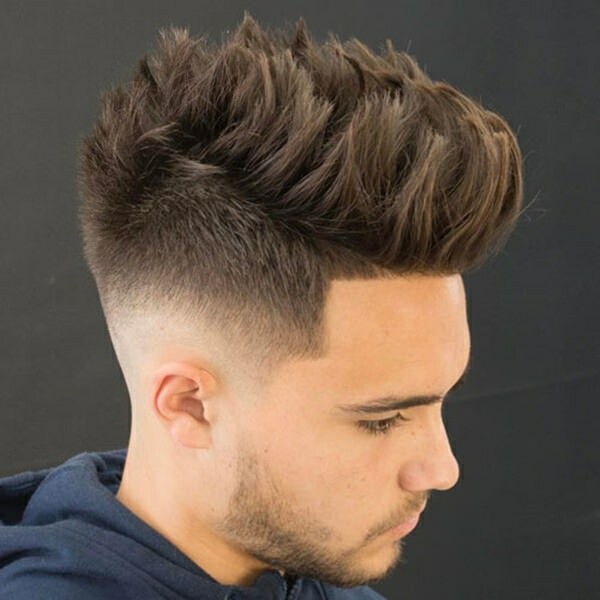 An amazing style that is short all over except on top where it is flipped. 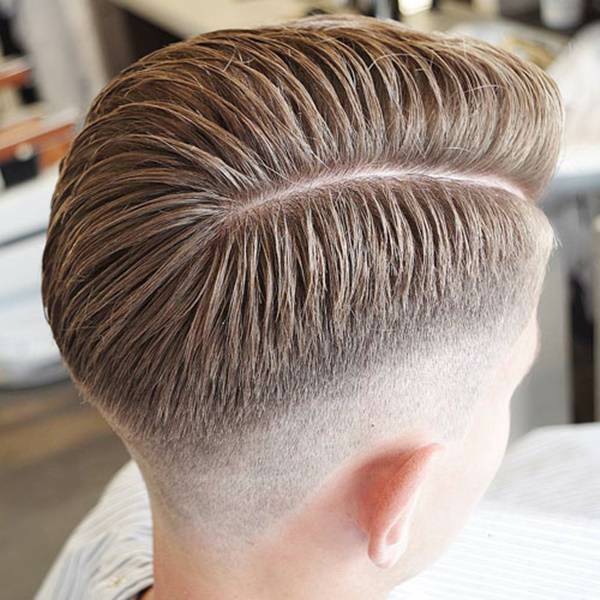 It’s long on top and slicked backward. A short look that is very low-maintenance. This is a very popular style as we have already seen before. 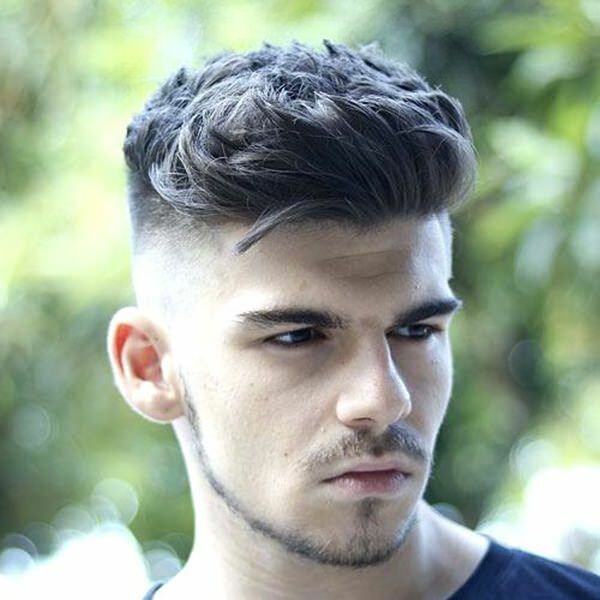 If your goal is to give off cool vibes, then you are sure to do it with this hairstyle. 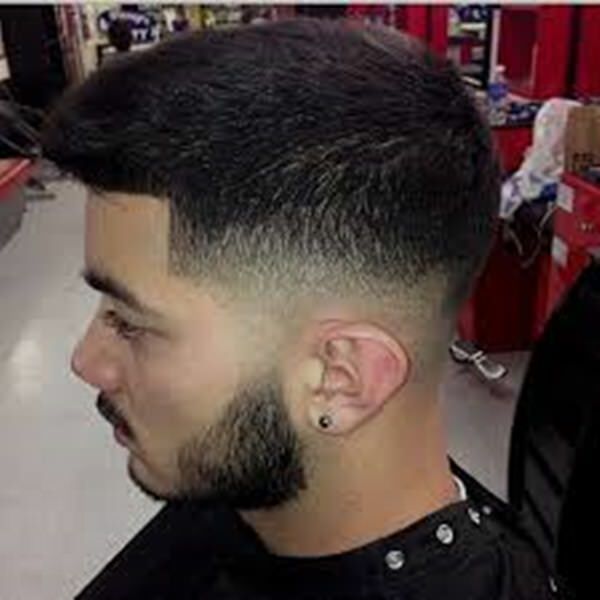 This is a great style that is you can wear out with the guys. A stunning style like this is going to turn heads wherever you go. 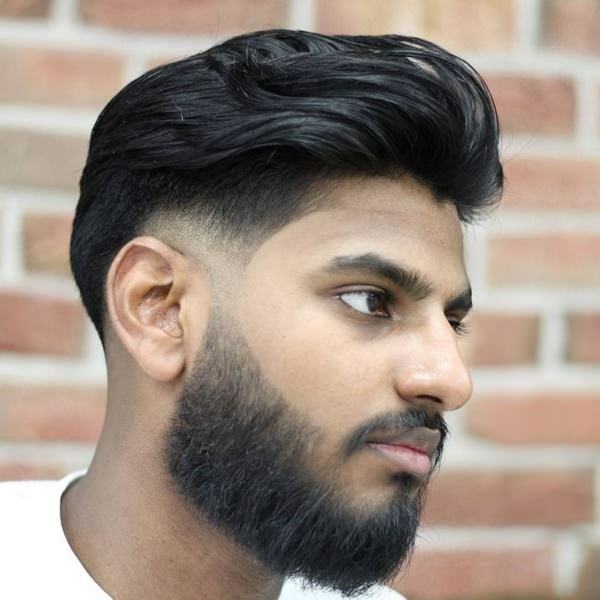 A cool style like this is super long on top and very stylish. 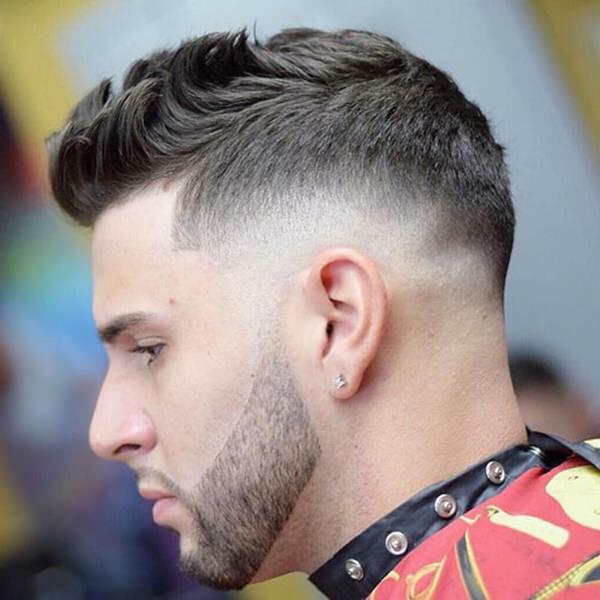 This fresh style is very cool because of the bold part and the flipped style. 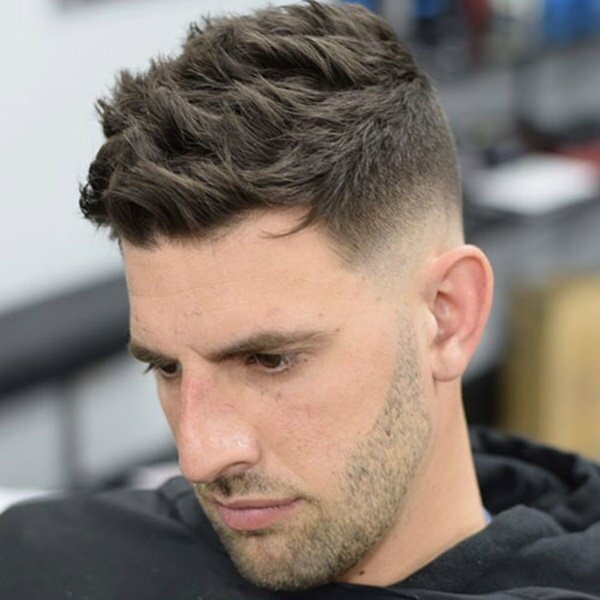 A great style that is all about the shaved part. If you are looking for something a little less dressed up, then you are sure to love a style like this. 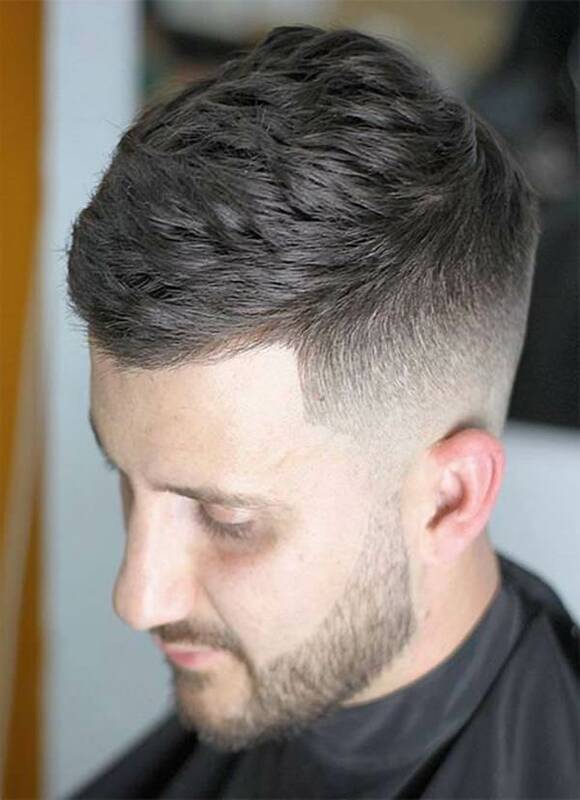 A handsome style that is perfect for the professional. 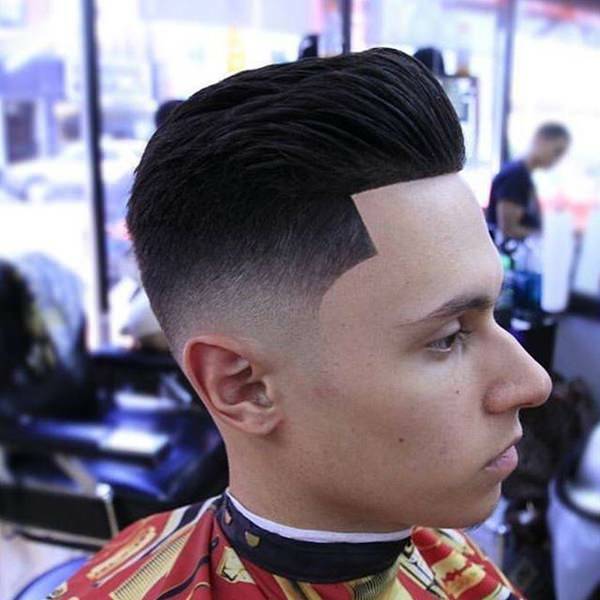 The fade here is pretty jarring and obvious. The lines here are so crisp and amazing. Shaggy or not, it’s always cool to embrace those curls. A great style that you are sure to love because it’s easier to put together. If fashion and style are what you are interested in, then you can’t go wrong with a cool look like this. A cool look that is easy to put together. 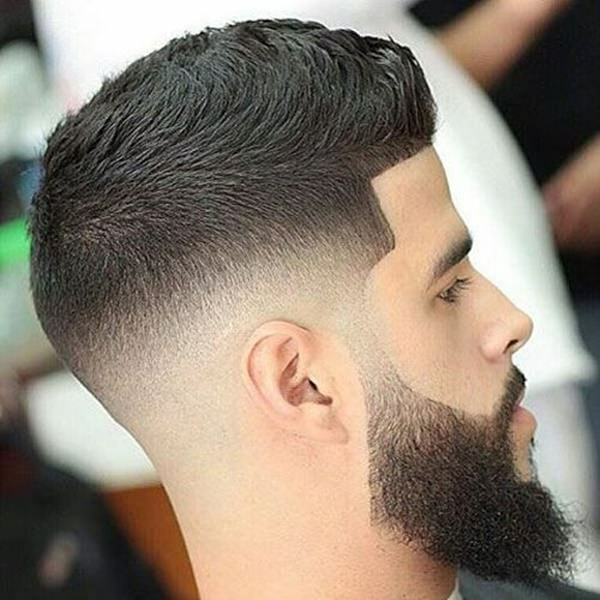 Matching your hairstyle with your beard is really easy when you add a fade. 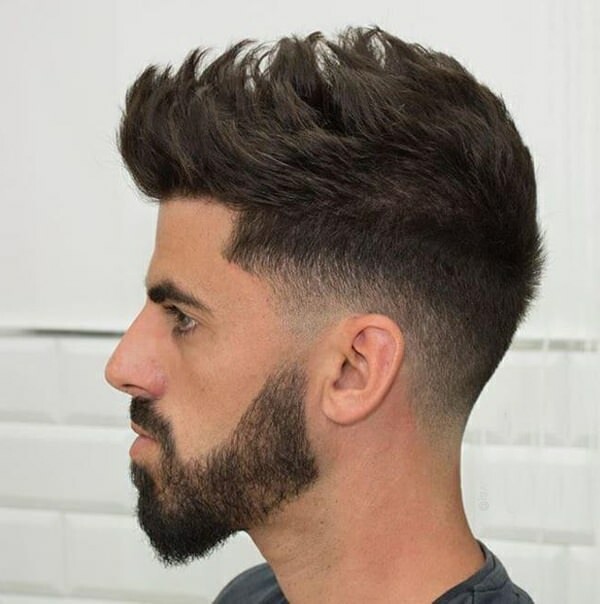 Another great look that is long on top and short on the sides. 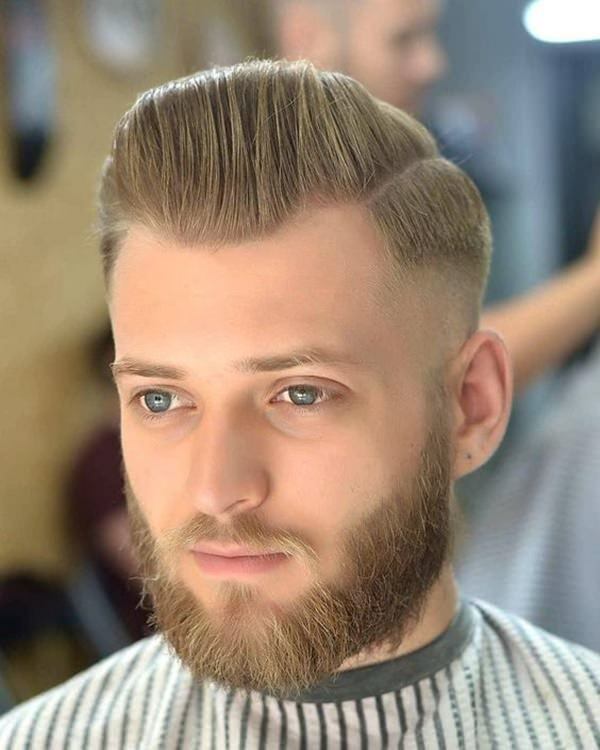 If you are looking for an edgy look this year, then this is the style for you. 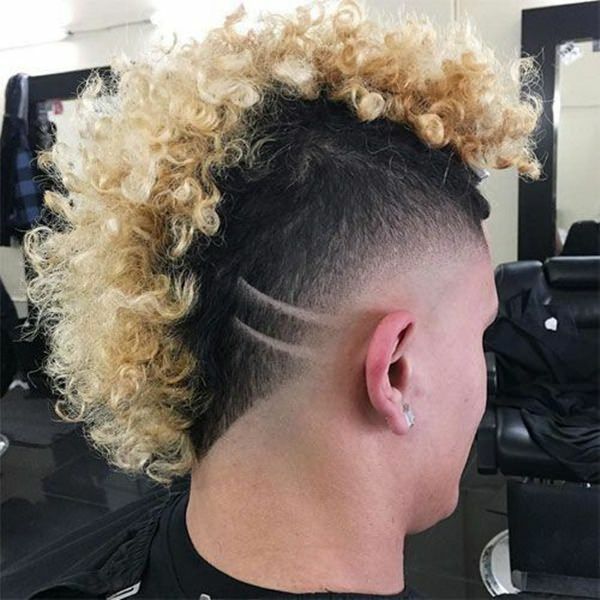 Not only do we see a blonde afro mohawk but the sides are shaved and there is also a design on the sides. It’s a cool look that is sure to turn heads wherever you go. 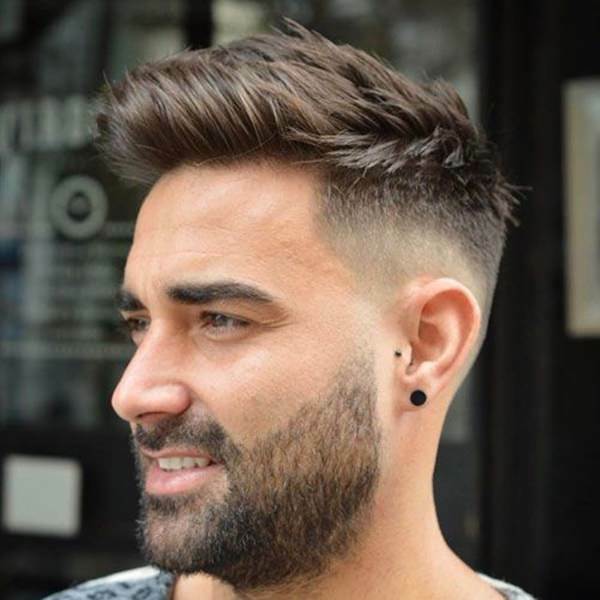 This cool look is styled in a square fashion and it’s very short. 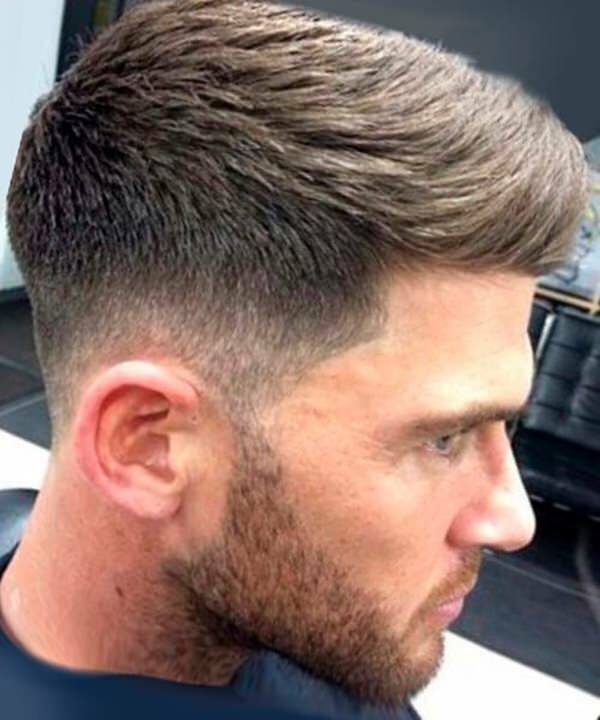 There is a fade that goes all the way from the back right to the long layers on top. A casual style like this is simple to style. You won’t find an easier style to manage than this one. It’s short and it won’t take any time at all to pull it together. 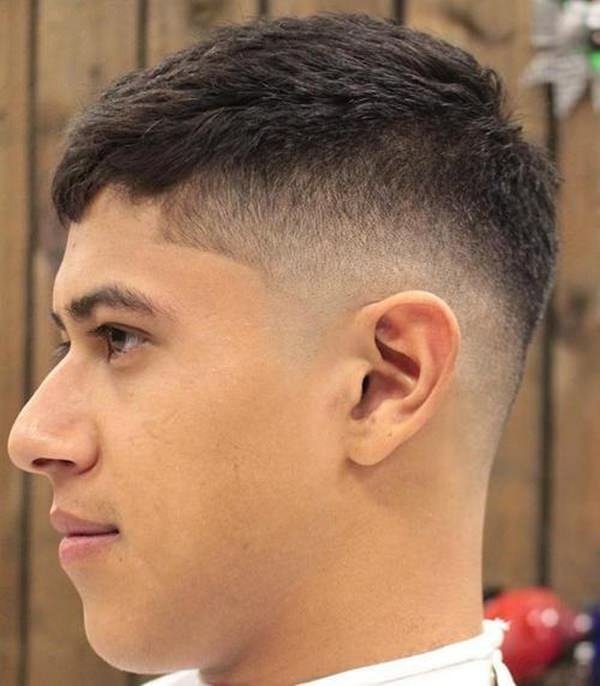 These styles are very popular right now and they are sure to help you get the look you are after. 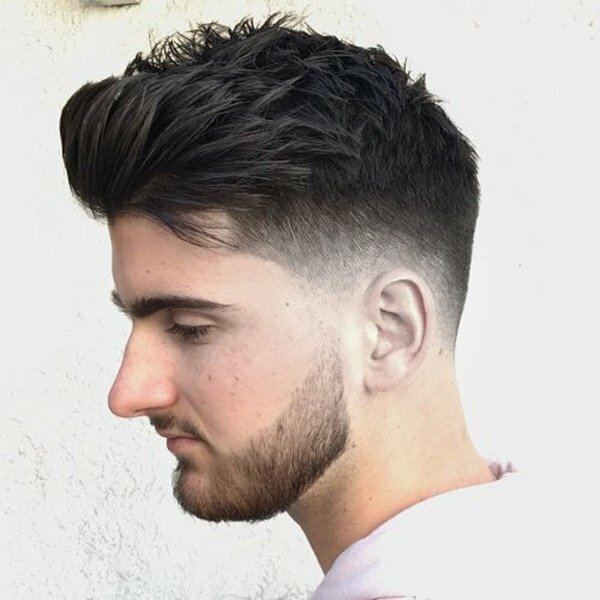 This is a much more dramatic fade and the part is shaved in. This is definitely a fashionable style that is truly unique. 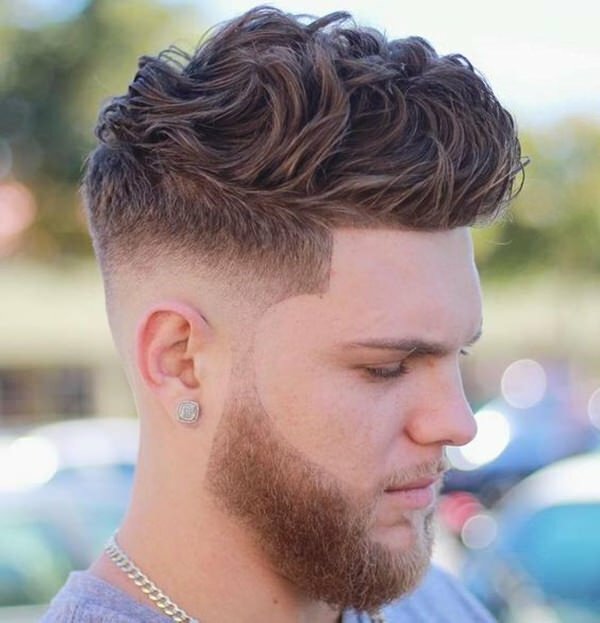 This fade goes right into the beard and the top is loose and wavy. A great style that is short and sweet. This style you can easily wear anywhere. If a cool look is what you need, then here it is. If cool and simple is what you need, then this is the style for you. 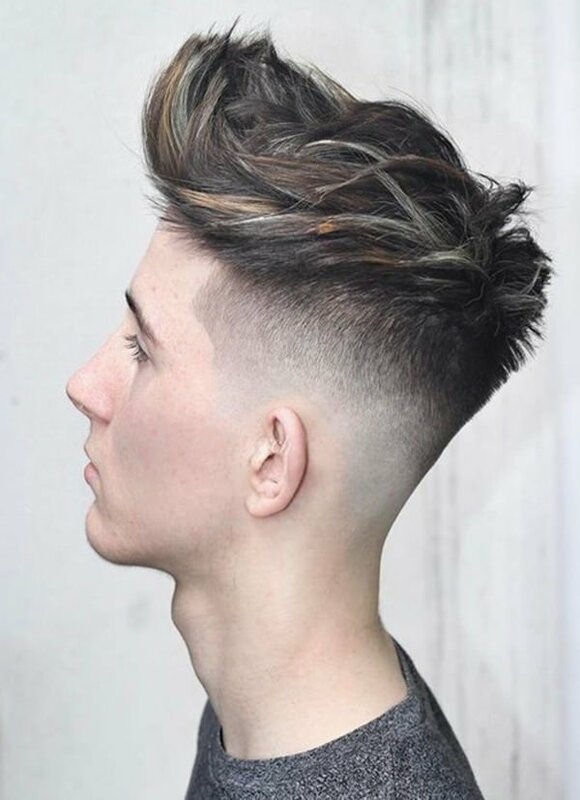 An amazing style like this is truly unique. 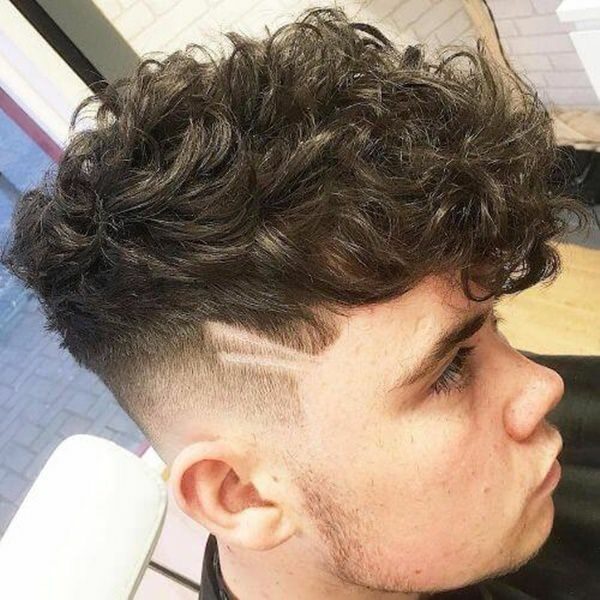 The part is shaved right into the side to show off a truly unique design. 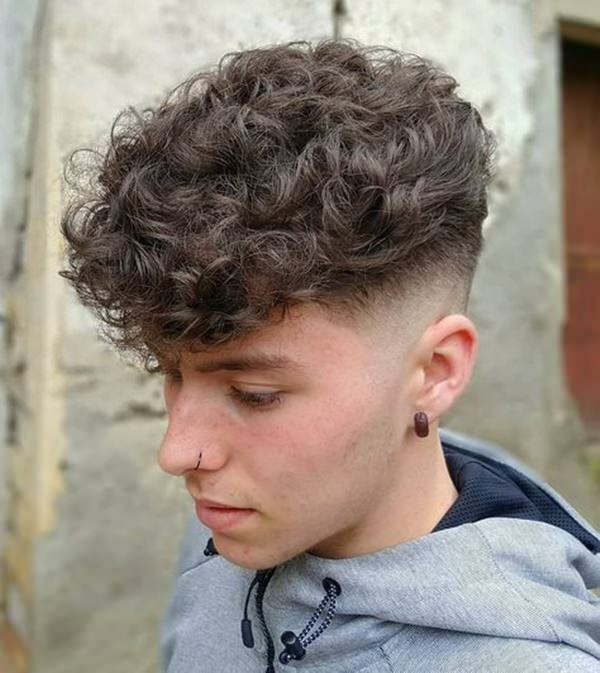 A short style that has a ton of curls on top. The shaved design is polished and clean. The hairstyle here is combed in many different ways. 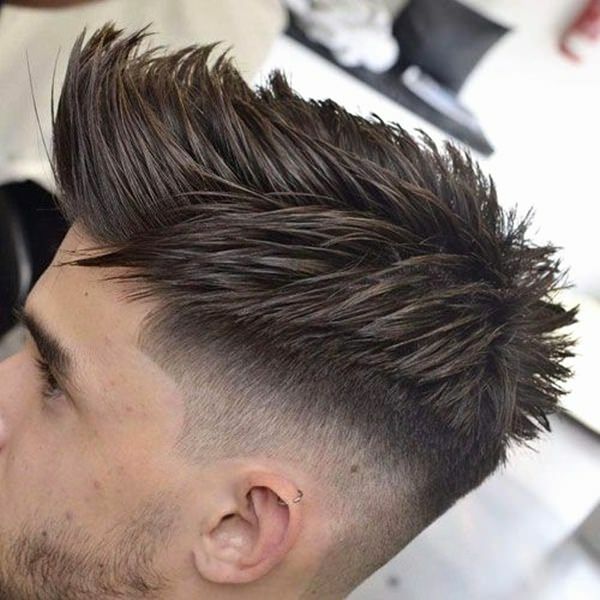 It’s an unusual style that is sure to get you some attention. A cool look that is unique and bold. If you want something that is easy to style in the morning, then this is the look for you. 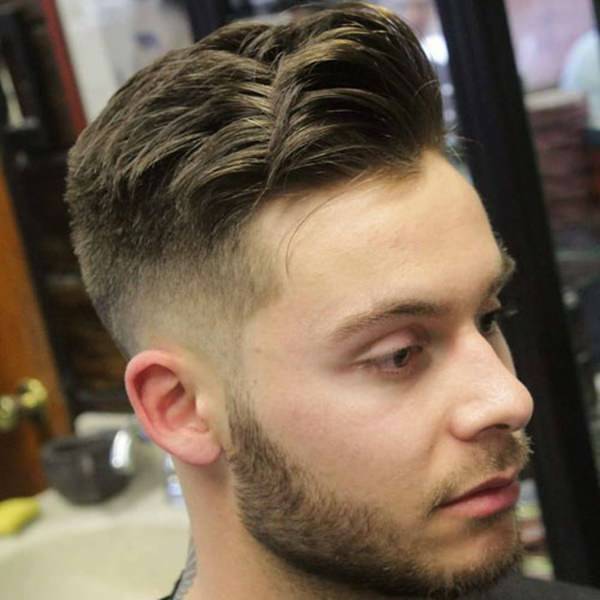 A great style that is clean cut and allows your curls to roam free. 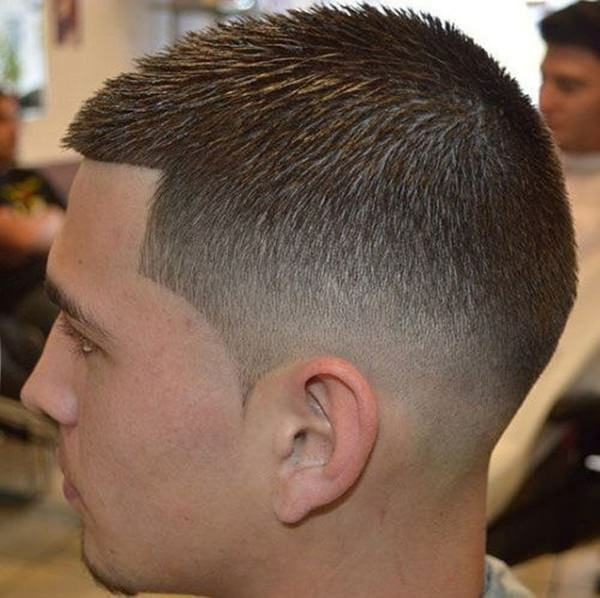 If you want a style that is high fashion and will have heads turning your way, then you can’t go wrong with this look. 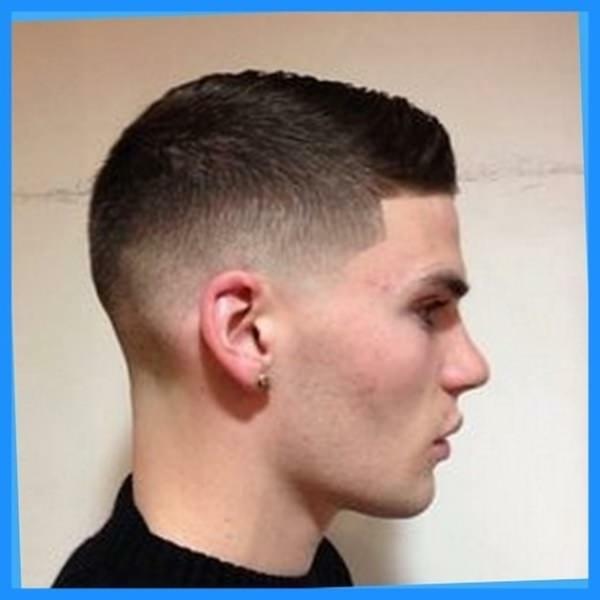 The part is shaved it and it’s one of the most stylized looks on the list. Another fresh look that you are sure to love. 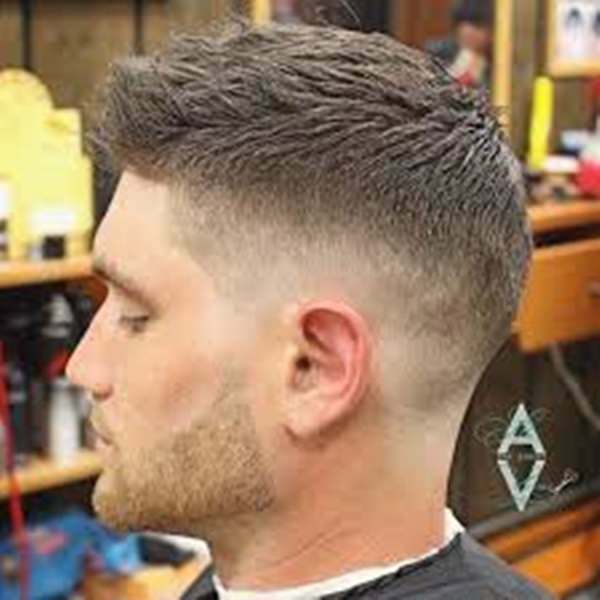 A fresh style that has much longer hair on top and a very short shave on the sides. 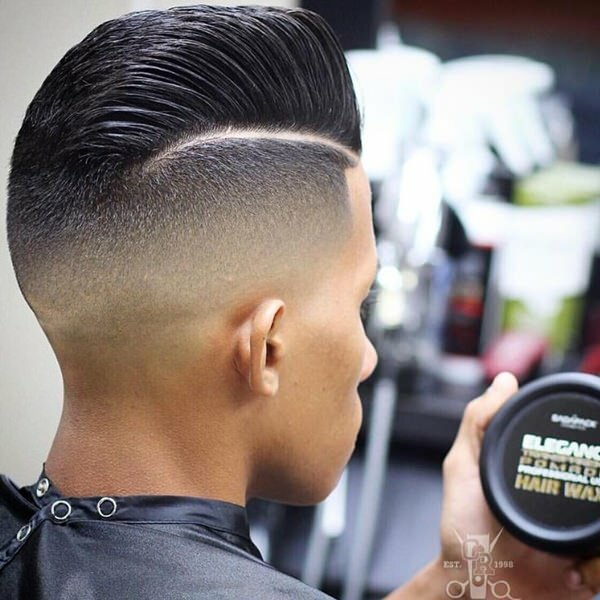 If a clean style is what you’re looking for, then this is a cool style for you. 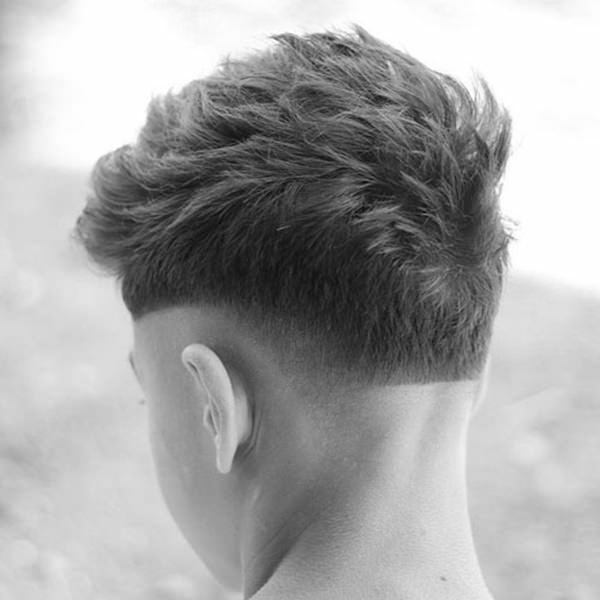 It’s short all over aside from the fade. 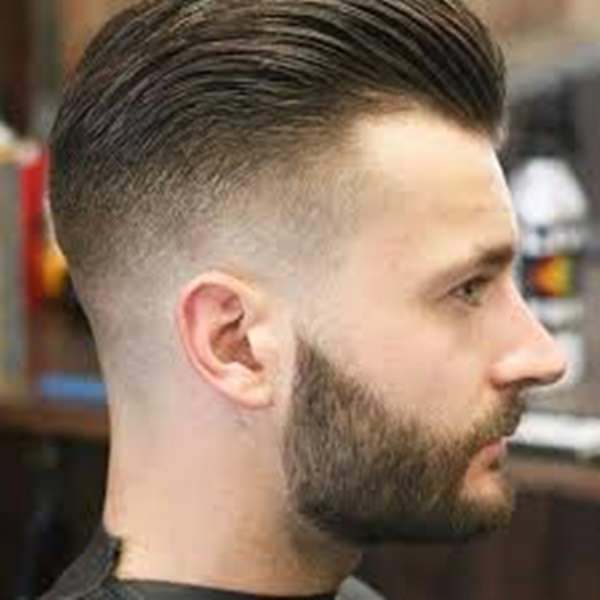 This style is pretty cool because to comes close to being a mohawk. 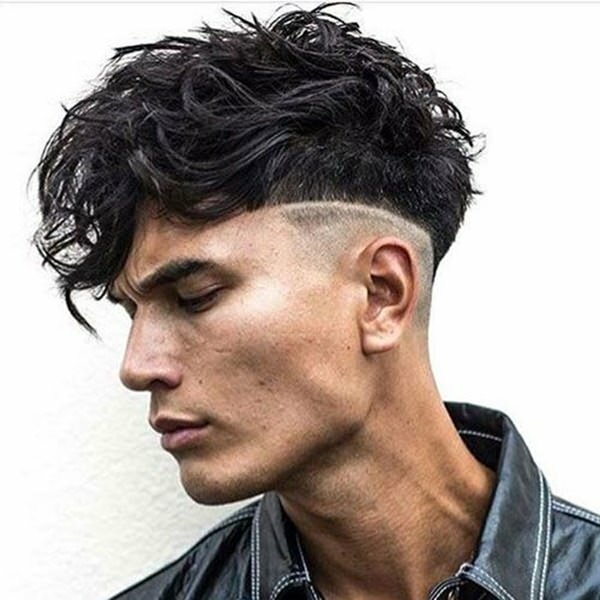 The curls are wild and loose and the rest of the style is shaved to perfection. A faded style that has the front slightly flipped up. It’s a style that would only take a few minutes to put together in the morning. You are lucky if you have natural waves to your hair because there is so much more that you can do with the style.